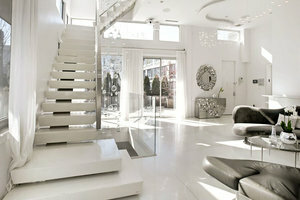 This penthouse represents the ultimate in city living. 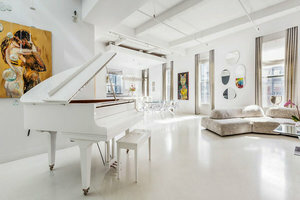 Located in fashionable NoHo, this space is perfect for an Art Event, Showroom or Production Event. With direct elevator access, the penthouse offers a vast expanse of space over 3 floors with 2 bedrooms that include private bathrooms and 2 half baths as well as an additional sleeping loft upstairs. The rental also includes opulent facilities including a chef's kitchen, fireplace, bar, grand piano as well as a terrace that provides a large outdoor space featuring a jacuzzi and outdoor theater on the top level. With luxurious facilities, a prime location and beautiful layout, this space is not to be missed for your next showroom, art event or party.